Apple’s newest version of its iPhone/iPad software, iOS 8, is packed with features to make business users and enterprise IT pros love it. 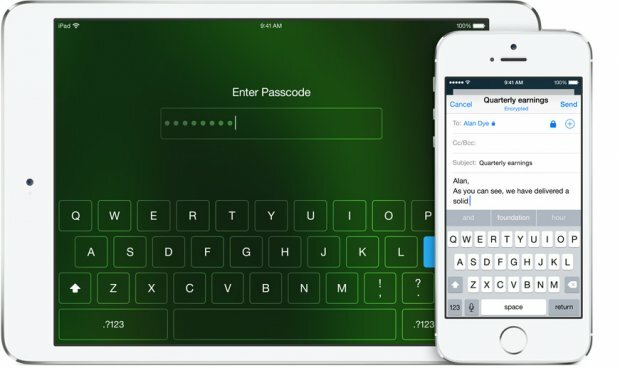 With iOS 7, Apple added the ability for Mail and third-party apps to be locked with their own passwords. With iOS 8, Apple has extended this feature to include Calendar, Contacts, Reminders, Notes, and Messages. Some companies use an encrypted security technology known as S/MIME. This allows you to virtually sign and encrypt a message, so the person who gets it knows it comes from you. iOS 8 will support S/MIME so users can individually sign and protect individual email messages. You can now mark an email string as “VIP” so when people respond to it, it shows up on your lock screen. Previously, you could only designate people as VIPs, so that all of their emails would show up on your lock screen. In Calendar, you can now see the availability of your coworkers when scheduling a meeting. You can also mark events as private. And you can email meeting attendees from Calendar. In addition to Apple’s own cloud file storage iCloud Drive, iOS 8 works better with cloud storage from other vendors, including Box and Microsoft’s OneDrive. You can also transfer documents from an iPhone to a Mac without an internet connection using AirDrop. With a new feature called Hand-Off, used with iCloud Drive, you start a document on an iPhone or iPad and finish it on a Mac. 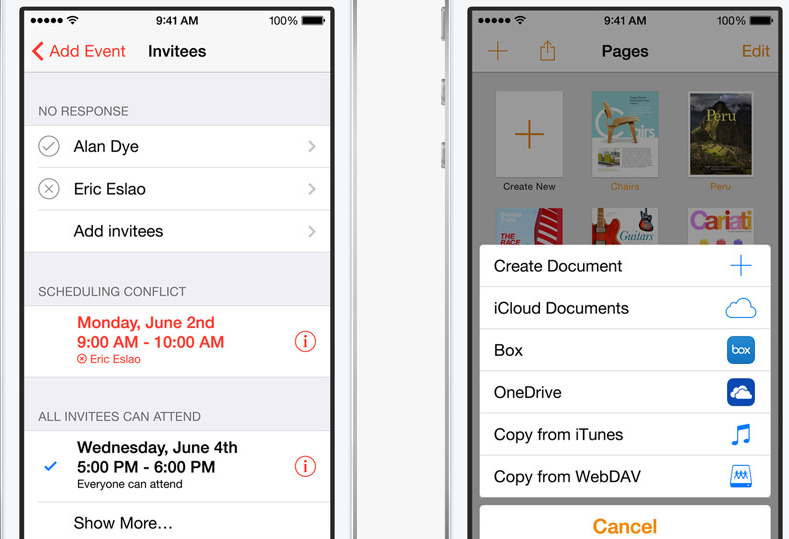 Apple lets IT pros send books and PDFs to employees’ devices. They can automatically remove them, too. IT departments can set up rules for which apps are allowed to open in the browser, which ones can access iCloud Drive, and so on. With iOS 8, Apple will make such controls available to third-party app developers, too, it says. iOS 8 lets you wirelessly connect an iPad or iPhone to an Apple TV without a network connection. For companies that use Apple TV in conference rooms, this will allow an iOS device to show a presentation without signing onto the the internet or the corporate network.